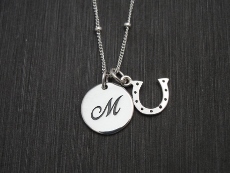 A sterling silver Initial necklace with "fancy" font. The disc measures 1/2" and is hung on a satellite chain. 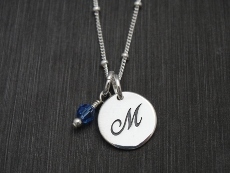 To order this item, please select a style and length of chain. Then click Add to Shopping Cart button.